Life Insurance is no more an option and has become a necessity in today’s day and age. You never know what life has in store for you and its better to be safe than sorry. So, it is very important that you secure the future of your loved ones, especially those who solely rely on you for their needs. This is where life insurance comes into the picture, making your life a little bit easier. Life insurance helps the insured in more ways than one. To know how, let us look and understand some of the benefits of Life Insurance before you finalise your insurance plan. Affordability: The first thing that people do while searching for a life insurance policy is to see if it sits in their budget. The goal is to select the plan wherein you can pay the premium without having to do a lot of changes to your monthly budget. With so many insurance companies in the market, now is the best time to buy life insurance. You can get a life insurance policy with a life cover of Rs 1 crore and pay an Annual Premium of just Rs 13000, making it an idle choice for a middle-class family. Investment: Life insurance is one of the best ways to invest your money in a long term basis. Some even come with a saving plan wherein the insurance company would invest your money into profitable ventures, satisfying both our needs of securing our loved ones and our investment goals. Tax Benefits: Under section 80C of the income tax Act, 1961, a life insurance policy qualifies as a tax deduction. It means that any amount that is paid towards the insurance policy can be claimed as a deduction from the gross total income. 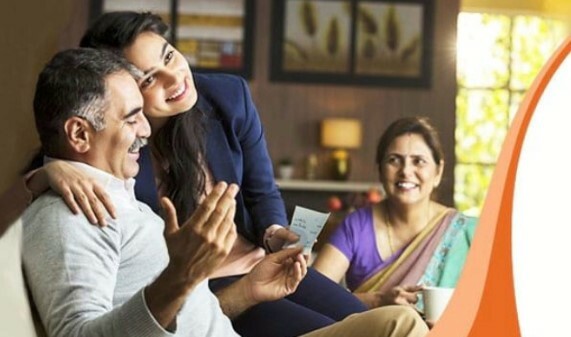 Moreover, the returns earned from your life insurance policy also give you tax benefits under section 10(10D) of the Income Tax Act (1961) click here to know more about the tax benefits. Longer Coverage: Coverage is the time period under which your life insurance is effective. The longer the coverage, the better the plan. Since the future is very uncertain, you should always go for the insurance plan that offers longer coverage. There are some insurance plans that even offer coverage of 99 years. Retirement Benefits: Life insurance can also make your post-retirement life a breeze. With benefits like Tax exemption and reimbursement, life insurance can help you overcome your financial burden during post-retirement life. Also, the payment that is offered in the form annuity also acts as a source of pension after you retire. It is never too late to get a life insurance plan. While most people who are in their 20s do not think about getting life insurance. But in reality, getting a life insurance plan in the early 20s can actually help you crack a good plan with a lot of benefits since you are free from any health problems. No matter how old you are, you need to start taking care of your family, and life insurance is the first step towards it.